How to Find A Good, Healthy Dog Food! When transitioning to a new dog food or if you are just looking for a great, healthy one for your dog, you need to do your homework. With so many different blends of both wet and dry food on the market, where do you even begin to look? And, of course, you hope to choose one that hasn’t been recalled. Your dog’s genetics, age, life style and tastes all play a role in how much and what your dog should eat. Ask your veterinarian for recommendations for your dog contingent on your dog’s body size, breed, age and health. There might be a medical issue to take into consideration or if your dog is overweight, it will narrow down the choices. Once you get a recommendation from your vet, you can then do some research on your own. The first ingredient in your dog’s food should be a specified meat, not a meat by-product, but the real thing. If the first ingredient in your dog food is a corn, wheat, meat by-product, bone meal or anything but a real specified type of meat, move on to another food. By-products are the leftovers, such as the eyes, hooves, skin, feathers and feet that are not good for your dog. Watch out for ingredients that do not list exactly what it is, such as words like “animal” and “meat” as opposed to “chicken,” “beef,” “duck,” etc. If you find a dog food that you think will be a good fit for your dog, you can easily go on-line to see if the food has been recalled. With so much information at our fingertips, it shouldn’t be difficult to see if the brand or the particular food has been recalled or has unfavorable reviews. 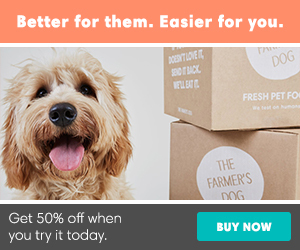 When you are feeding your dog a healthier brand, it tends to be a little more expensive. 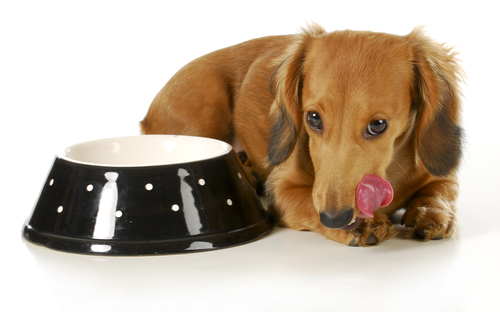 Feed your dog the same type and brand of food every day. 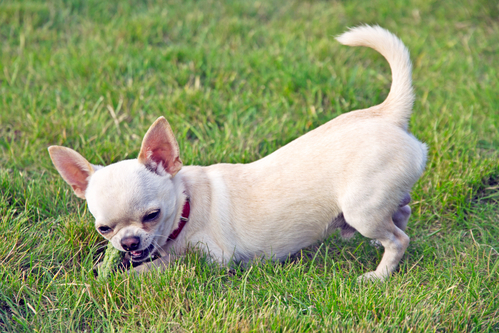 Unlike humans, a dog’s digestive system cannot handle changes in food. It can cause upset stomach and diarrhea. If your dog both likes the food that you find, buy a couple cases or in bulk to help bring the costs down. There are numerous on-line sites that have great deals on different brands of dog food and even coupons. While one dog may thrive eating all wet food, not gain weight and maintain good health, it doesn’t always equate cross the board. Each dog is different in what works for him or her, so look for a high quality food, with a lot of protein, fewer carbohydrates and your dog should thrive. 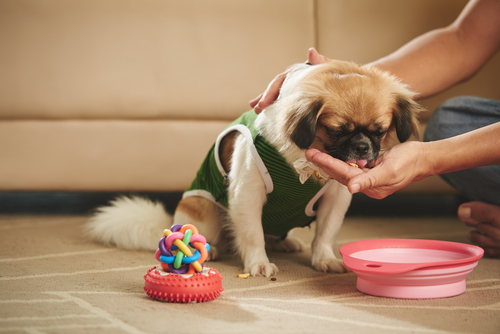 Make sure to monitor your dog’s weight and activity level and make feeding adjustments as necessary. Feeding your dog human food is OK but there are many human foods to avoid. Keep your dogs, away from avocados, chocolate, grapes, raisins, macadamia nuts, and raw bread dough made with yeast. Also avoid onions, garlic, and chives; milk and large amounts of dairy products such as cheese; alcohol; coffee and caffeine; salty food, such as potato chips; and food sweetened with xylitol, such as gum, baked goods, and candy. Xylitol, also used in products such as toothpaste, can cause liver failure in dogs. A dog’s diet can help maintain your dogs’ good health, longevity and help combat allergies or illness. 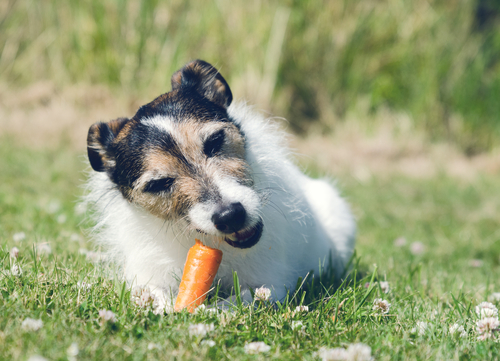 The healthier the food, the more likely your dog will live longer and stay healthy!